REPDC GREEN PTE LTD main objective of the risk mitigation policy is to ensure sustainable business growth with stability and to promote a pro-active approach in reporting, evaluating and resolving risks associated with the business. In order to achieve the key objective, the policy establishes a structured and disciplined approach to Risk Management, including the development of the Risk Matrix, in order to guide decisions on risk related issues. REPDC GREEN PTE LTD Risk management is a central part of the strategic management of any organization. 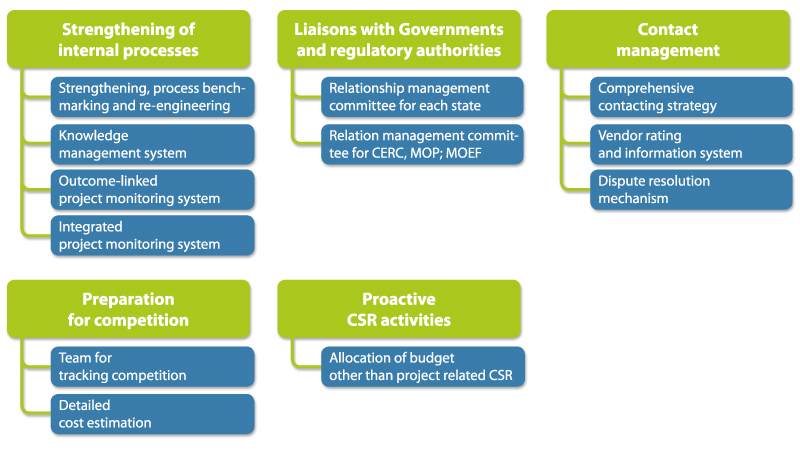 It is the process whereby organizations methodically address the risks attached to their activities. A successful risk management initiative should be proportionate to the level of risk in the organization, aligned with other corporate activities, comprehensive in its scope, embedded into routine activities and dynamic by being responsive to changing circumstances. The focus of risk management is the assessment of significant risks and the implementation of suitable risk responses. The objective is to achieve maximum sustainable value from all the activities of the organization. Risk management enhances the understanding of the potential upside and downside of the factors that can affect an organization. It increases the probability of success and reduces both the probability of failure and the level of uncertainty associated with achieving the objectives of the organization. The occurrence, progress and status of all risks will be promptly reported and appropriate actions be taken thereof. Risk management will be a continuous process that supports the development and implementation of the strategy of REPDC Green. It will methodically address all the risks associated with all of the activities of our organization. In all types of undertaking, there is the potential for events that constitute opportunities for benefit (upside), threats to success (downside) or an increased degree of uncertainty. It is often argued that, for health and safety risks, the consequences can only be negative and the management of safety risk should focus on prevention and mitigation of harm. However, for outsourced service providers, setting good standards of health and safety may be part of winning contracts and this demonstrates that there is an upside to safety risk management.